New beginnings. 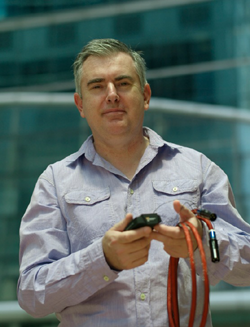 When Matthew Bond started out in the early 80s, the audiophile industry was in its infancy and the concept of cables and connectors affecting performance new and novel. Up until that point the market was largely dominated by rebranded off-the-shelf wire with limited aspiration and very little science. A handful of serious designers including Mr. Bond began to change the landscape by applying real research and development into the material and methodology of cable design. Thus an entirely new branch of the audio industry was born. 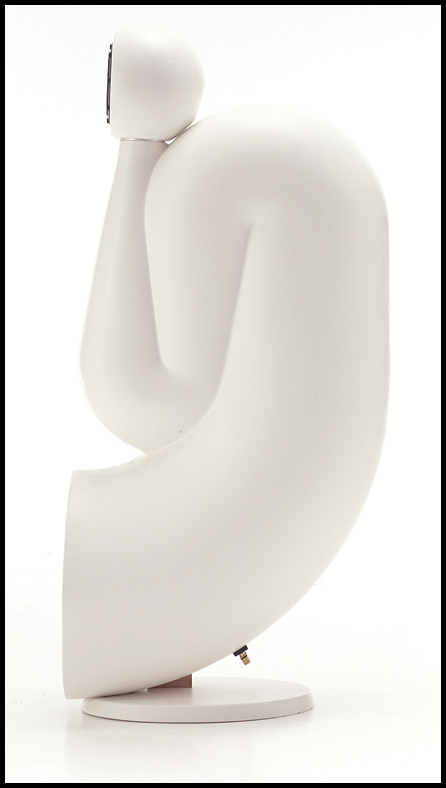 Unfortunately as the best offerings became increasingly exotic, so did the pricing structure. As time went on, state-of-the-art product drifted further and further from reach of all but the most financially dedicated audiophile. In 2010 Mr. Bond diverted his attention from Tara Labs, the company he founded and still retains 50% ownership of, to delve into a fresh venture that promised to deliver the caliber of performance he was known for but now to a wider audience. 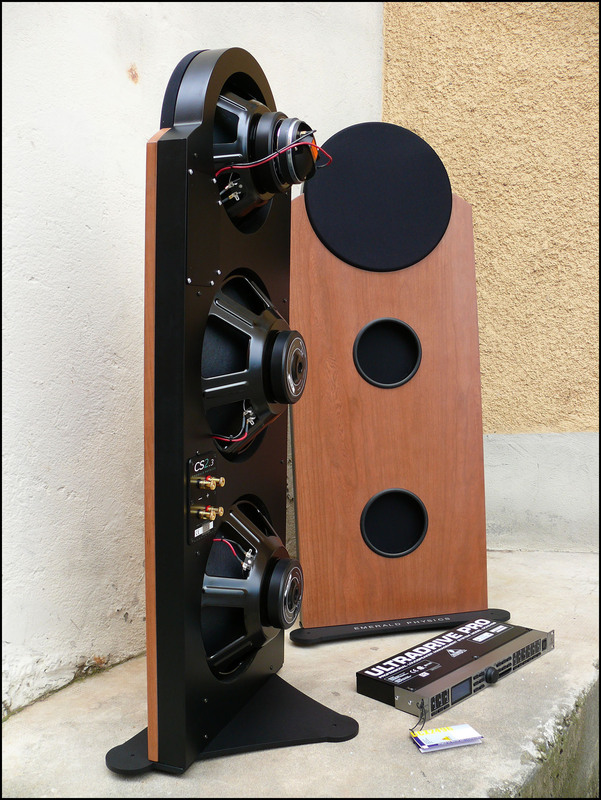 He joined forces with long-time friend and audiophile Ernest Lau, a highly regarded musician and record producer, to create Madison Audio Lab. What emerged was a newborn cable company that tempers established expertise with novel approaches and materials. Based in Hong Kong, the products combine high-purity Japanese copper conductors, the latest Japanese and European cable making equipment and the cost efficiencies of Chinese manufacture under tight quality control. The company set its design parameters high by utilizing an exclusive conductor, the Madison ESC™ OCC® audio conductor (extended single crystal copper Ohno continous casting™) and retaining the use of fine Teflon air tubes and Teflon braid to hold the cable construction together. The result? A small relatively modestly priced line of cables that has immodest sonic aspirations. Trickle-down technology can be of enormous benefit. This applies to the budget-friendly offerings under review. 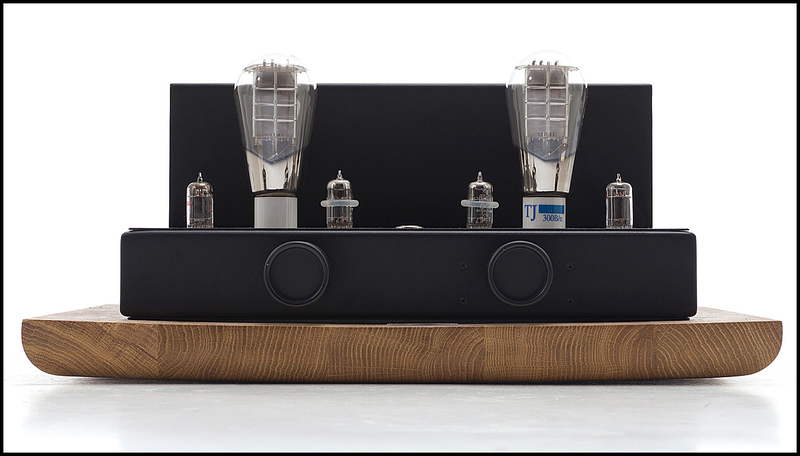 The expertise derived from Madison Audio Lab’s premiere efforts is scaled down to achieve an attractive price point. The materials and processes of the top cables remain largely intact but minus the advantages of the outboard grounding box on the upper tier interconnects. All cables are still SC-OF8N single crystal pure copper. The lower priced interconnect simply utilize multi strand versus the solid core of the ESi1. Both ICs use solid polyethylene insulation and 100% copper/Mylar foil shielding. 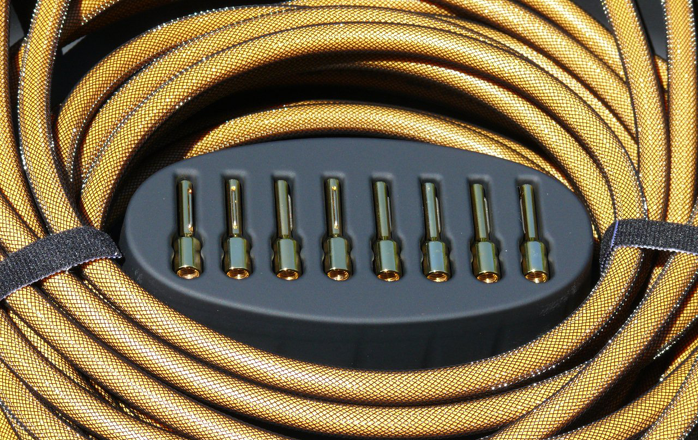 The ERS-1 speaker cable uses 64 (16x4) helix-grouped conductors. Fit and finish are first rate and the proprietary high quality gold-plated connectors are stellar for the price. The interconnect uses a snug-fitting RCA with a split center pin. 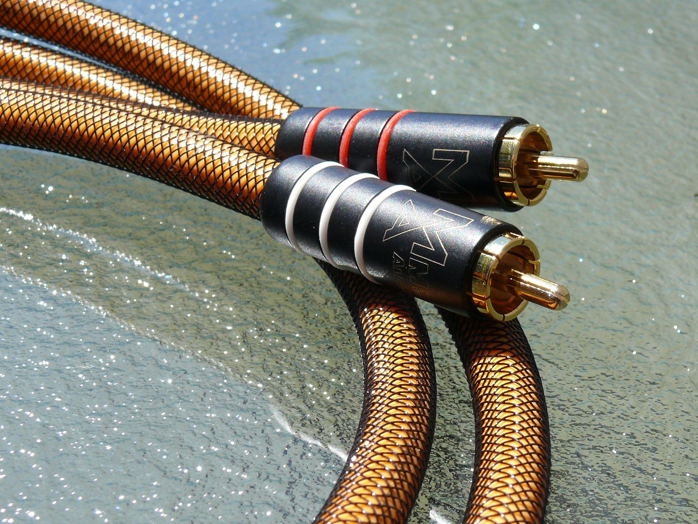 The speaker cable comes with an unusually versatile connector design that allows the choice of hefty spade or tight-fitting Deltron style banana to be screwed to the ends. All cables are directional. My review process was multi stage. 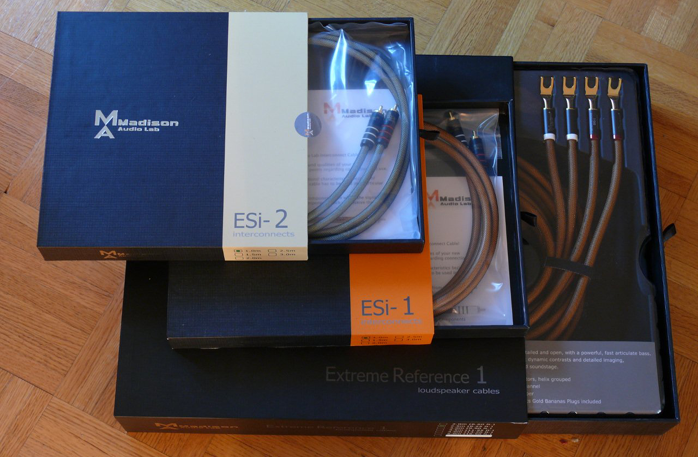 The Extreme Reference Standard 1 interconnects were introduced first followed by the Reference Standard 2. Both did duty between source and preamp, servicing either the Wyred4Sound DAC 2 or AudioSpace CDP-8A. Parallel feeds with identical music were set up to see how the cables would behave with tube and transistor sources and afford a good glimpse into their relative characters. 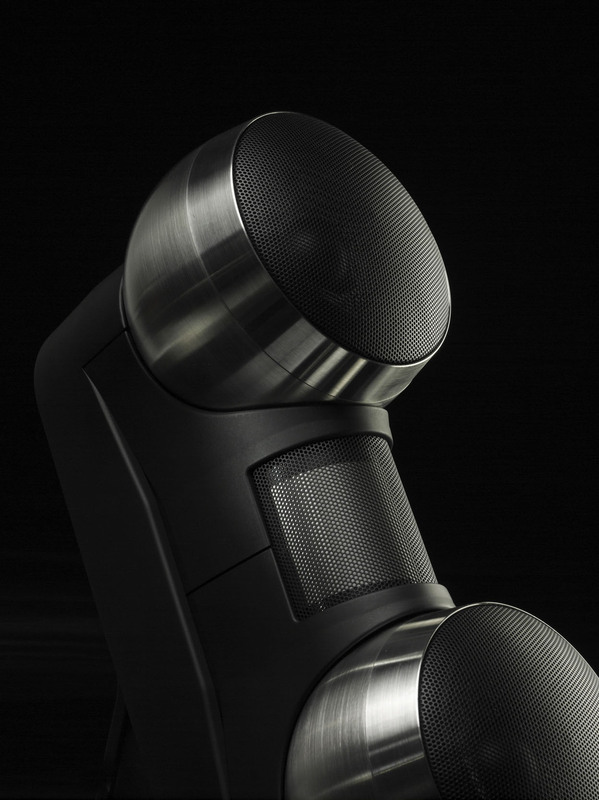 Initially double runs of the Audio Art SE speaker cables fed the Apogee speakers. 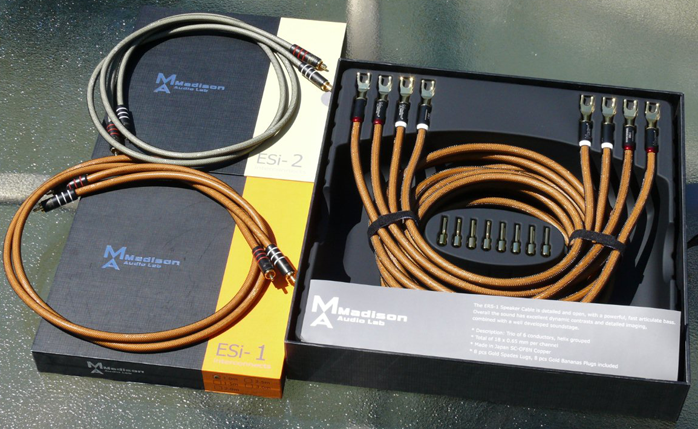 For a short time, a single run of the Madison Audio Lab Extreme Reference 1 speaker cables was employed with JPS Labs jumpers to achieve a closer price comparison against the Audio Art SE. The distributor graciously provided a second set of speaker cables to allow a full double run, which made for a complete Madison Audio Lab wired system. 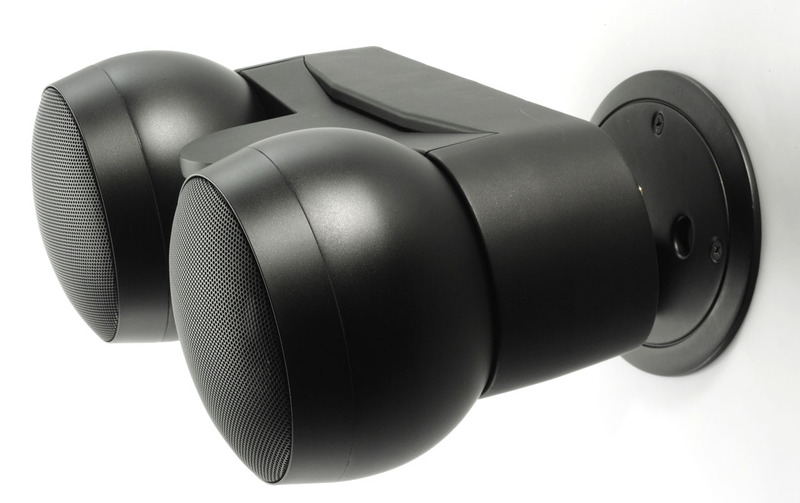 The Paradigm subwoofer was used for the bulk of the listening to judge bass depth and impact but the system was later reconfigured with the Apogees running full range to gauge control into their historically difficult load. As a final test the Wyred DAC-2 was employed in linestage preamplifier capacity directly into the Bel Canto amplifier with the Madison, Audio Arts and Signal interconnect cables all seeing comparative duty.